E. Bickerman, Four Strange Books of the Bible. Shocken, 1967. W.J. Fuerst, The Books of Ruth, Esther, Ecclesiastes, the Song of Songs, Lamentations. 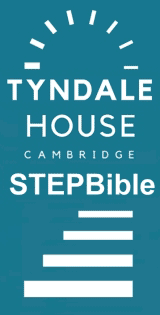 Cambridge Bible Commentary. Cambridge, 1975. pp.267. B.W. Anderson, "The Place of Esther in the Christian Bible," Journal of Religion 30 (1950): 32-43. Adele Berlin, "The Book of Esther and Ancient Storytelling," Journal of Biblical Literature 120.1 (2001): 3-14. Frederic W. Bush, "The Book of Esther: Opus non gratum in the Christian Canon," Bulletin for Biblical Research 8 (1998): 39-54. Iain Duguid, "But did they Live Happily Ever After? The Eschatology of the Book of Esther," Westminster Theological Journal 68.1 (Spring 2006): 85-98. A.D. Friedberg & V. DeCaen, "Dating the Composition of the Book of Esther, A Response to Larsson," Vetus Testamentum 53.3 (2003): 427-429. Robert Gordis [1908-1992], "Religion, Wisdom and History in the Book of Esther," Journal of Biblical Literature 100 (1981): 359-88. W.W. Hallo, "The First Purim," Biblical Archaeologist 46 (1983): 19-26. Charles D. Harvey, "Probing Moral Ambiguity: Grappling with Ethical Portraits in the Hebrew Story of Esther," Southern Baptist Journal of Theology 2.3 (Fall 1998): 56-77. B.W. Jones, "Two Misconceptions about the Book of Esther," Catholic Bibkical Quarterly 39 (1977): 171-81. B.W. Jones, "The So-Called Appendix to the Book of Esther," Semitics 6 (1978): 36-43. Robert J. Littman, "The Religious Policy of Xerxes and the Book of Esther," Jewish Quarterly Review 65 (January 1975): 145-55. J.A. Loader, "Esther as a Novel with Different Levels of Meaning," Zeitschrift für die alttestamentliche Wissenschaft 90 (1978): 417-21. C.A. Moore, "Archaeology and the Book of Esther," Biblical Archaeologist 38 (1975): 62-79. Myles Nolan, "Esther in the New Testament," Proceedings of the Irish Biblical Association 15 (1992): 60-65. Ronald W. Pierce, "The Politics of Esther and Mordecai: Courage or Compromise?" Bulletin for Biblical Research 2 (1992): 75-89. Shemaryahu Talmon, "'Wisdom' in the Book of Esther," Vetus Testamentum 13 (1963): 419-55. T.C.G. Thornton, "The Crucifixion of Haman and the Scandal of the Cross," Journal of Theological Studies 37 (1986): 419-26. Wilhelm Vischer [1895-1988], "The Book of Esther," Evangelical Quarterly 11 (January 1939): 3-21. Michael G. Wechsler, "Shadow and Fulfillment in the Book of Esther," Bibliotheca Sacra 154: 615 (1997): 275-284. J .Stafford Wright, "The Historicity of the Book of Esther," John Barton Payne, ed. New Perspectives on the Old Testament. Word, 1970. Hbk. pp.37-47. Edwin M. Yamauchi, "Archaeological Backgrounds of the Exilic and Postexilic Era. Part 2: The Archaeological Background of Esther," Bibliotheca Sacra 137: 546 (1980): 99-112. R. Zadok, "On the Historical Background of the Book of Esther," Bible Notes 24 (1984): 18-23.